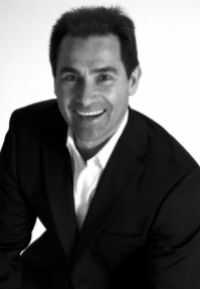 Meet the Doctors at DesLauriers Chiropractic Group Inc.
During my teen years, while I was involved in downhill ski racing, I started getting headaches. I couldn’t find relief until I visited a chiropractor at age 19. I was intrigued that you could influence health in a positive way without the use of drugs and surgery. I began my undergraduate education at the University of Victoria and Simon Fraser University, studying biology and kinesiology. I then continued on to Canadian Memorial Chiropractic College, graduating in 1985. After two years practicing in Whitby, Ontario, I moved back to British Columbia. She continually updates her skills and knowledge by attending numerous seminars each year. Dr. Greene-DesLauriers has completed a Masters Certificate Program in Whiplash Injuries and is certified in Graston Technique and Webster Technique. I first encountered chiropractic through a personal experience. I was injured playing football at UBC. and developed incapacitating migraines. None of the top specialists could help. I was basically told that I had to live with these terrible headaches for the rest of my life. Instead of giving up, I saw my first chiropractor. Within a week or so, my migraines were gone. I had been going to school at Simon Fraser University for kinesiology, then the University of British Columbia for sports medicine. While at UBC, I was a starter on the Thunderbird football team as a wide receiver, winning the Canadian University Championship in 1982. The team was inducted into the UBC Sports Hall of Fame and the British Columbia Football Hall of Fame. In recent years, Dr. DesLauriers has been hired by five different companies as a health care trends expert, specializing in the field of wellness care. He has lectured extensively all over North America on patient education and health. Additionally, since 2011 he been writing articles on strength training and wellness for a leading chiropractic magazine. He has also been on the editorial advisory committee for Canadian Chiropractor magazine since 2012. 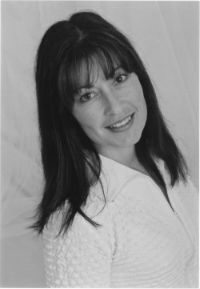 Dr. DesLauriers was born and raised in Vancouver, British Columbia. Growing up in a family of six boys and one girl, one can see why his lifestyle is still active to this day! Dr. Kim Greene-DesLauriers and Dr. Pierre DesLauriers offer family-oriented wellness chiropractic care based on the ideas of their mentor, Dr. Guy Riekeman. They walk the talk that they give to their patients by eating healthy and exercising regularly. They enjoy skiing, biking, and training at the gym and encourage their entire family and our community members to live a healthy lifestyle. DesLauriers Chiropractic Group Inc. supports Peace Arch Hospital, the White Rock Food Bank, Semiahmoo Rotary Club, Covenant House, Union Gospel Mission, World Vision® and Canadian Red Cross. We are members of the Business Improvement Association in White Rock. Let us help you find the health that you lost and start living the life you want. We’ll start with a thorough examination that includes on-site Digital X-rays. Contact our practice today to get your appointment scheduled! Email DesLauriers Chiropractic Group Inc.